A must-have for the serious rock crawler or puller! 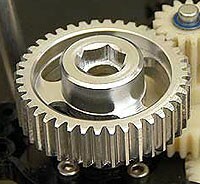 These differential lockers are designed to lock your Clodbuster axle for maximum traction over any surface. 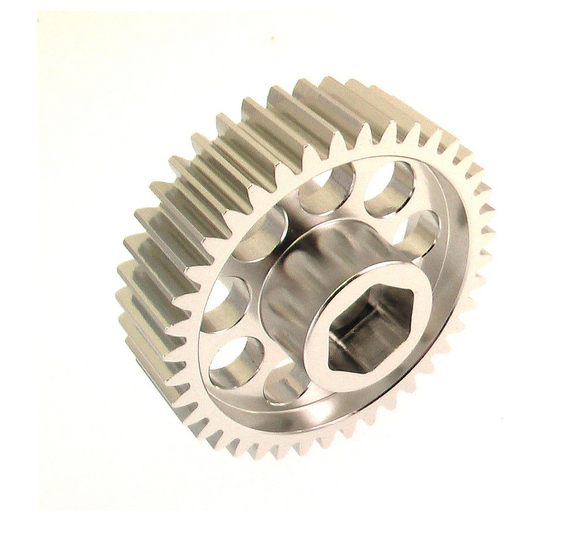 This machined aluminum locker replaces the BG1, BG2, and BG3 gears in your gearbox and is easily interchangeable with your stock gears so you can go from locked to unlocked quickly. CNC machined from 6061 aluminum, there are no plastic/delrin hexes to wear out over time. This kit includes one locker for either the front and rear differential in your Clod. If you want to lock both the front and rear differentials, you will need to purchase two of these.